We won’t know the full details of the State Council’s decisions until March next year, but there are whispers that things might be so bad right now it will kick officials into action. Bad news is good news. And if it’s really bad news, so much the better? Except it wouldn’t be, not really. 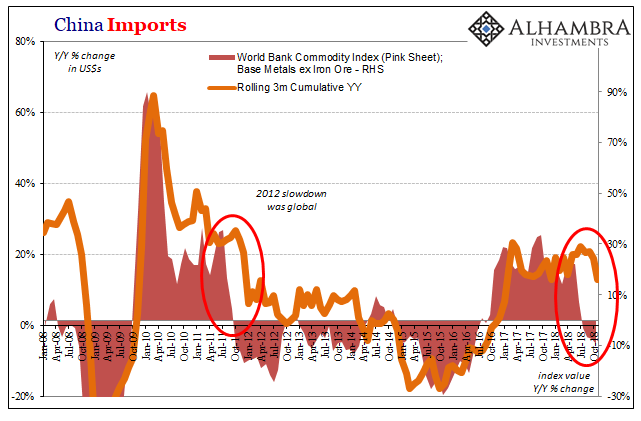 If China is in such bad shape now, what good was its last burst of stimulus started less than three years ago and wound down about eighteen months later? That’s what everyone seems to be waiting for, a new Chinese rescue to rescue the last rescue. Yes, it’s absurd as it sounds. The global economy will only go round and round in this pathetic shape so long as that’s the appeal – until it can’t go round the next time. A no-growth world doesn’t do anyone any good, so why keep at it? 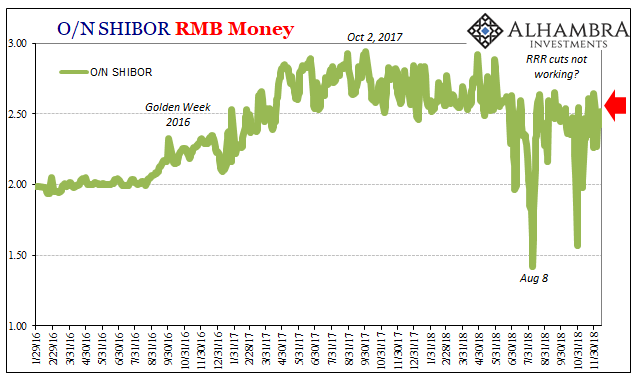 China’s top monetary authority, Yi Gang, Governor of the People’s Bank of China, started the process by warning about further “downside pressure on the economy.” No kidding. It’s been forecast all year, and over the last several months it has begun to appear more forcefully. Not trade wars, external illiquidity. 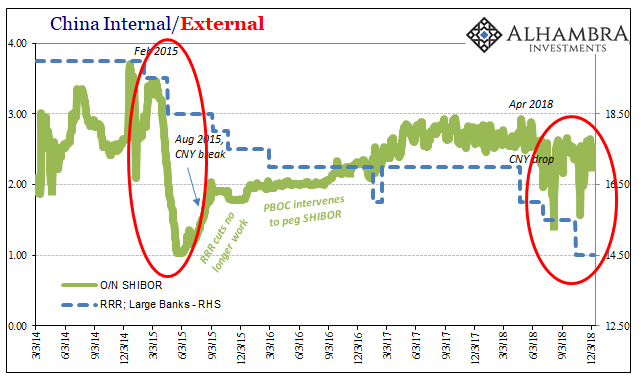 Yi, therefore, advised how the PBOC will try and keep things loose but also neutral (as in, not too loose). He’s done that already, though one is forced to question why. As we’ve chronicled throughout 2018, they’ve adjusted bank policy to allow more bank reserves to be put into use by banks – only because there are now fewer bank reserves. 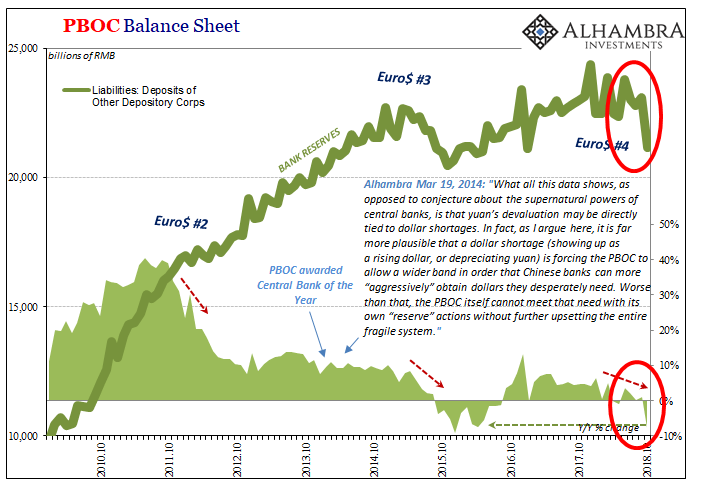 And what good are bank reserves, public or private, if monetary tightness extends to more basic, straightforward tools like actual currency. The effects of a shortage are profound and equally simple. Monetary tightness leads to the economic situation where things start to go wrong first where money is most at use.